The homegoing Service for Rev. Darrell Rollins will be held at Green Street Baptist Church in Louisville, Dr. Carl J. Jones is the pastor. The Visitation will be Monday, January 7, 2013 from 6 p.m. to 8 p.m. 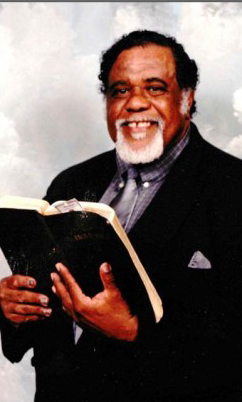 The Homegoing Service will be Tuesday, January 8, 2013 beginning at 11 a.m.
Rev. Rollins was the former President of the Hospital Chaplain Association. He was born March 13, 1938 in Ironton, OH and attended Southern Baptist Seminary (M.Div., ’71). He served as Pastor of several churches – Mt. Pisgah Baptist Church, Proctorville, OH; Bethel Baptist Church, Maysville, KY; West Broadway United Methodist Church, Louisville; Wesley Chapel, Carlisle, KY; Grundy Chapel, Burkesville, KY; and Muir Chapel Christian Church, Louisville, KY.
At the time of his death his was an Associate Minister of Green Street Baptist Church, Louisville and Phillips Memorial C.M.E. Church until his illness. Rev. Rollins’ civic pursuits include being the Chaplain at Kentucky State Reformatory and Luther Lockett Correctional Complex. He served as a consultant for the University of Louisville Human Studies Review Board. He served on staff of Signature Health Care since September 30, 2010. He enjoyed studying military history, playing the drums, and serving as a choir director. He is survived by his wife of 36 years, Sis. Barbara Rollins; Children, Kenneth and DaRalle; Granddaughter, Bianca. Thank you and Signature Health Care so much for posting this. I had no idea that you had done so. Blessings. As a former inmate at LLCC, I am sorry to find out that Rev Rollins passed on two years ago. He was a walking representation of Christ’s love. His memory will remain important to me and many others for the remainder of our lives.